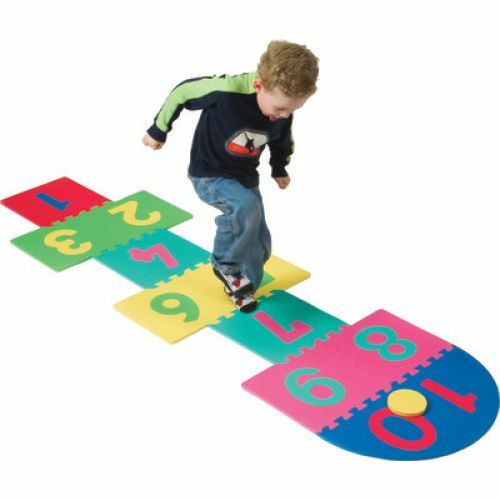 Kids have fun while learning numbers! Large, easy-to-handle (12" x 12") foam pieces interlock. Bright colors for visual stimulation. Includes 4 place markers, zippered storage bag with handle. 25 pieces.